VDC-M encoder and decoder IP cores will support the new VESA Display Compression-M standard for mobile devices requiring increased video compression levels of up to 5X. For the fourth year running we will be kicking off the New Year in Las Vegas at the biggest tech event of the year: CES! 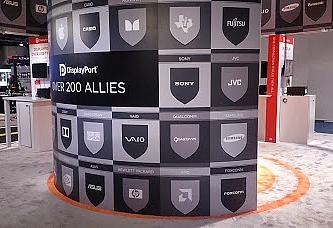 Join us at the DisplayPort booth where we will be showcasing the very latest in video compression technology. Compressed video images can be affected by transmission errors. Using the example of DisplayPort 1.4 and VESA Display Stream Compression (DSC), we’re taking a look at how Reed-Solomon Forward Error Correction (FEC) code is used to improve the resiliency to link errors when transporting compressed video. OpenAMP provides a software framework to developers that they can utilize to manage firmware across a multi-processor system and establish communication between the processors. In part 1 of our post, we looked at Linux AMP and some of the challenges associated with heterogeneous software architecture before examining what OpenAMP is. In this second part, we will look closer at what you need to know about using OpenAMP with heterogeneous devices. Following our recent Introduction to Yocto webinar, Hardent is pleased to announce three more training webinars. These free webinars will address many different aspects of FPGA and embedded system design including constraint management in the Vivado Design Suite, functional coverage in SystemVerilog, and the OpenAMP framework. In our recent webinar “An Introduction to Yocto for Zynq UltraScale+ MPSoCs”, we gave an introduction to the Yocto Project showed how easily specific vendor support could be utilized to build a system for a Zynq UltraScale+ MPSoC device. Hardent will demonstrate how the latest features in ARM® technology enable software designers to address the specific challenges associated with designing for complex heterogeneous multicore SoCs and meeting demanding time-to-market schedules. First live 4K display demo of the visually lossless VESA DSC standard will show how higher resolution displays for mobile and mobile-influenced markets such as AR/VR can be effectively achieved. New products allow semiconductor manufacturers and IP vendors to take advantage of DisplayPort 1.4’s new VESA DSC (Display Stream Compression) feature to achieve higher resolution displays. Interested in learning more about ARM DS-5 Debugging and CMSIS Software Packs? Don’t miss the chance to learn from ARM experts at the Toronto ARM/KEIL user group meeting taking place April 26, 2016. Following on from last week’s introduction to the Zynq UltraScale+ MPSoC, this tutorial takes a look at how you can get started with using Xen Hypervisor on Zynq UltraScale+ MPSoCs. This tutorial will show you how to use the Xen Hypervisor (HV) on Xilinx’s Zynq UltraScale+ MPSoC. Since the Zynq UltraScale+ MPSoC is not yet widely available, this tutorial leverages the emulation capabilities of QEMU, which is shipped with Xilinx PetaLinux tools. We will be showing you how to run the Xen Hypervisor on the ZCU102 development platform using a PetaLinux-built HV and a Linux Dom0. The Xilinx PetaLinux tools simplify build, configuration, and deployment steps enabling designers to concentrate efforts on application and platform development instead of building and deployment. Xilinx and partners provide board support packages (BSP) for select boards with build configurations and pre-built images. PetaLinux is our full Linux distribution which includes the Linux OS as well as a complete configuration, build and deploy environment for Xilinx silicon. Because PetaLinux is fully featured, integrated, tested, and documented, it is the recommended and supported Linux deployment mechanism for our customers. As a Xilinx product, PetaLinux enjoys the same level of product management, support, bug tracking and emphasis that other Xilinx tools receive. The Zynq UltraScale+ MPSoC contains an ARM Cortex-A53 core. The ARM Cortex-A53 comes with built-in hardware hypervisor support; i.e., EL2 and hypervisor instructions. Xen HV is a type 1 HV, running directly on the hardware. Xen HV runs independent domains on top of it, referred to as Dom0 for the host domain and DomUs for guest domains. Dom0 controls and launches guest domains. Dom0 contains applications that speak directly to the HV to launch, destroy, check for status, etc. The Xen Project hypervisor is an open-source type-1 or baremetal hypervisor, which makes it possible to run many instances of an operating system or indeed different operating systems in parallel on a single machine (or host). Use the BSP to create a new project. petalinux-create -t project -s Xilinx-ZCU102-v2015.4-final-dec.bsp. NB : The project is already set up to run on Xen, to build the hypervisor, and build the hypervisor control applications in Dom0. For specific settings, such as the kernel configuration, consult the Xilinx wiki on Xen. Replace the default device tree file (.dts) with a template file for running Xen and then change it to downgrade the driver used for the UART. Delete (or rename ‘system-top.dts’) subsystems/linux/configs/device-tree/system-top.dts. NB : Xen doesn’t support Cadence’s UART IP version r1p12, only version r1p8 as observed in the Xen source code. Observe: In subsystems/linux/configs/device-tree/xen-overlay.dtsi there is a block labelled chosen with two lines containing the keyword bootargs. The first line specifies boot arguments for the Xen HV : use serial0 (an alias for uart0, see system-conf.dtsi) as console, allocates 512MB for dom0, etc. For additional arguments, consult the complete list of Xen command line options. The second line specifies Linux boot arguments. Use the PetaLinux tools to build the new image. Start U-Boot with Xilinx PetaLinux. The PetaLinux command requires some extra QEMU arguments due to the Ethernet configuration of the ZCU102 (Ethernet is needed as you are booting from tftp). The extra -net arguments allow QEMU’s DHCP server to assign an address to the U-Boot instance. petalinux-boot --qemu --u-boot --qemu-args="-tftp images/linux -net nic -net nic -net nic -net nic -net user"
Once the U-Boot has started, press any key to stop auto-boot and drop down to a command prompt. Load the Xen HV image, Dom0 image, and device tree blob into memory using tftp. Configure tftp’s server address with the command setenv serverip 10.0.2.2. Load images via tftp tftpb 0x4000000 system.dtb && tftpb 0x80000 Image && tftpb 0x6000000 xen.ub. This loads the device-tree blob (DTB) at address 0x4000000, the Xen image at address 0x6000000 , and the Linux image at address 0x80000. Boot the Xen HV using the command bootm 0x6000000 - 0x4000000. This tells U-Boot to boot the application at memory address 0x6000000 (xen.ub) with no initial ramdisk (denoted by the -), the third argument is the flattened device tree (system.dtb) at address 0x4000000. The Xen HV will bring up Dom0 on its own. Once Linux has loaded there will be the standard login prompt to log into Linux. Log in as ‘root’ (password: root). You can use the Xen pre-installed tools to check the status of the HV system (xl). xl list will list the running domains, their IDs, available memory, number of virtual CPUs available, and their state. Now that the host domain (Dom0) is running, it can load guest domains which will run on their own, isolated thanks to the Xen HV. Many different guests can run from full-fledged Linux to Xen’s MiniOS. This example will load the same Dom0 Linux image as a guest OS. A Xen configuration file must be created for it. This step will create a configuration file on the host computer. It will be transferred via tftp to the running QEMU session. Create a new file called <PetaLinux_project_root>/images/linux/DomU_Linux.cfg. NB : The extra="console=hvc0" enables the user to pass input to the guest OS through the console. Return to the QEMU terminal, now logged into Linux. First, transfer the Linux image and the configuration files to the embedded Linux system (running on QEMU) via tftp. Then use the Xen tools to create and run the guest OS. The guest domain should now be outputting messages to the console and a login prompt should appear. Log in as root again. Both the Host domain and Guest domain are right now indistinguishable (they have the same bash prompt). However, running xl list in the guest domain will return an error, whereas running it in the host domain will now display two running domains; i.e., the host and the newly created guest domain. To test this, return to the host domain’s console by pressing CTRL+]. To return to the guest OS’s console (from the host OS), run xl console <domainName or domainID>. To remove a domain you can run xl shutdown <domainName or domainID> to forward a shutdown command or xl destroy <domainName or domainID> to forcefully remove a domain. Xilinx PetaLinux builds the required output products while the BSP supplies Xen specific configurations and utilities. The Xilinx-provided BSP and PetaLinux tools can be used to generate everything needed to run and manage Xen on the Zynq UltraScale+ MPSoC. 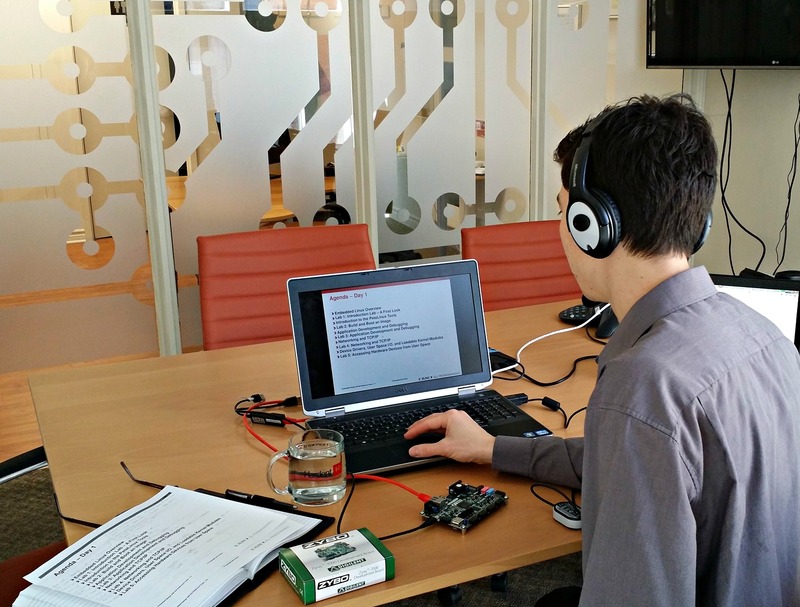 Just getting started with using Zynq UltraScale+ MPSoCs and need additional support? 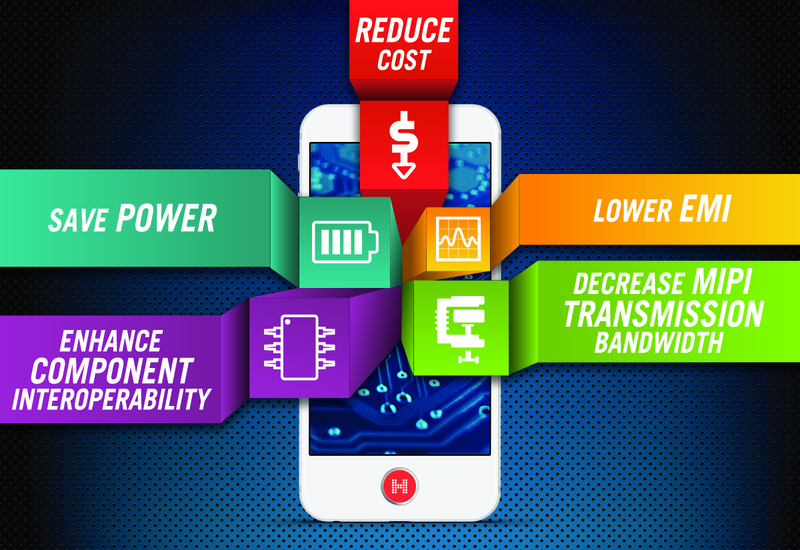 Contact us to find out how Zynq UltraScale+ MPSoC training can help get you up and running! Join us at DVCon 2016 in San Jose to find out how a web-based platform can be used to automate register verification and documentation for today’s complex FPGA designs. For design and functional verification engineers, producing an error-free, reusable, and testable design can be a time-consuming task. IP reuse and integration in chip design is growing in complexity, making it more difficult to rely upon manual functional verification processes. As such, new methodologies need to be developed in order to assist development teams with producing a quality design on time and on budget. One approach to reduce the cost and time associated with this increasingly complex process is to automate the register verification and documentation generation of chip and IP. In collaboration with ADVA Optical Networking, we have developed a client-server method that enables the automation of this process. Our method, named ‘Hdocx’, uses a web interface, database, and Python scripting to enable developers in chip and IP design. Using hierarchical combinations of registers and documents, a chip-level document, RTL, and verification code outputs are created. ‘Hdocx’ automates the creation of the chip register map, register testing, chip decode logic, and firmware/chip integration. By automating the register and documentation functions, human errors can be detected early in the design process, while developing documentation is simplified and consistent from project to project. ‘Hdocx’ provides an easy to use interface for the following aspects of chip design. The ‘Hdocx’ method will be presented March 1, 2016 at DVCon in San Jose by Scott Orangio (ADVA) and Julien Gagnon (Hardent). 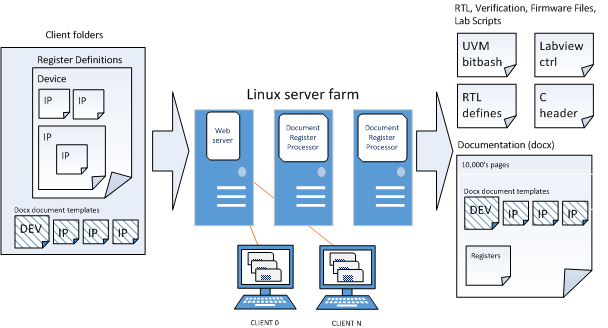 A poster and paper will describe in more detail how a web-based client/server model can be used to create, modify, reuse, and integrate IP register and documentation into a complete chip design. Need help analyzing your verification requirements or setting up a functional verification environment? Get in touch with our team to find out how we can help your leverage the latest functional verification methodologies to build a successful FPGA design. New IP products will enable DTV manufacturers to quickly implement VESA Display Stream Compression (DSC) v1.2 and develop HDR-compatible 8K products. Hardent, a VESA® member and provider of IP products, announced today the availability of IP solutions to support VESA Display Stream Compression (DSC) v1.2 in the second quarter of 2016. These new IP products will help Digital Television (DTV) manufacturers create High Dynamic Range (HDR)-compatible 8K displays while meeting critical time-to-market constraints. As consumer demand for ultra high-definition display products grows, designers need to find a solution for developing displays that support increased video throughput. To meet these needs, the Video Electronics Standards Association (VESA) released the VESA Display Stream Compression standard in 2014. 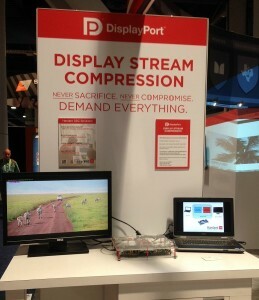 “The VESA Display Stream Compression standard is already widely adopted in mobile embedded applications. With the new capabilities introduced in the latest DSC version 1.2, the benefits of high-quality image compression can be realized in a variety of new applications and products, such as PC monitors and digital television.” states Bill Lempesis, executive director of VESA. VESA DSC uses real-time, visually lossless image compression to increase the amount of data carried on existing video transport interfaces such as MIPI® DSI and VESA DisplayPort™. The newly-released DSC v1.2 expands upon the capabilities of DSC v1.1 and is backward compatible with DSC v1.1. By supporting 14- and 16-bit color bit depth, as well as adding native coding for 4:2:0 and 4:2:2 in the YCbCr color space, this latest version of the standard will assist DTV manufacturers with developing HDR-compatible 8K televisions at high frame rates, along with other associated digital TV products such as STBs and DVRs. The expanded feature set of DSC v1.2 will also enable DSC to be used on DisplayPort v1.4 and other future video transport interfaces. Hardent’s VESA DSC IP products facilitate DSC adoption and faster time-to-market. “We are delighted to expand our DSC IP product portfolio to support DSC v1.2,” explains Alain Legault, VP IP Products at Hardent. “While DSC v1.1 still remains the compression standard of choice for mobile, tablet, automotive, and video transport applications, our IP cores for DSC v1.2 will enable DTV manufacturers to quickly develop ultra high-definition displays with significantly lower risk.” Hardent’s DSC IP solutions are unique to the market and have already been adopted by several leading manufacturers across a range of industries. “Like with all VESA standards, enhancements to the DSC standard are made possible by the collective efforts of VESA’s members. We applaud the accomplishments of member companies like Hardent that are developing the technologies and infrastructure critical to accelerating DSC’s adoption.” adds Lempesis. Hardent has been an active member of VESA’s DSC Task Group since 2013. For more information about Hardent’s VESA DSC v1.2 IP solutions, consult Hardent’s VESA DSC IP products page. Live demo will show how VESA DSC IP solutions assist manufacturers with developing next-generation consumer electronics with higher resolution displays. Hardent, a VESA® member and provider of IP products, today announced that it will be presenting a live demonstration of VESA Display Stream Compression (DSC) IP solutions at CES® 2016. CES participants will have the opportunity to see firsthand how the visually lossless VESA DSC standard enables compelling ultra high-definition displays while reducing video transport bandwidth, power consumption and overall system costs. The growing trend for higher resolution displays in consumer electronics, mobile, automotive, and video transport applications means that designers need to find a solution for developing displays that support increased video throughput. The VESA Display Stream Compression (DSC) standard enables manufacturers to leverage current video transport interfaces, such as MIPI® DSI and VESA DisplayPort™, with higher resolution displays by decreasing transmission bandwidth by up to 3X, while lowering power and reducing EMI. Hardent will be showcasing a live demonstration of the VESA DSC standard throughout CES 2016. By comparing compressed vs. uncompressed still images and video sequences side by side, CES attendees will witness the visually lossless performance of VESA DSC in action. Participants will also have the opportunity to interact with members of the Hardent team who are active members of the VESA DSC Task Group. To assist manufacturers with accelerating VESA DSC adoption, Hardent offers VESA DSC encoder and decoder IP cores. These IP solutions are the first of their kind on the market and have already been adopted by several licensees. “VESA DSC has clearly become the compression standard of choice for designing new high-definition display products”, says Alain Legault, VP IP Products at Hardent. “Our VESA DSC IP cores offer a low-risk, proven solution for quickly integrating the standard and meeting critical time-to-market constraints”. 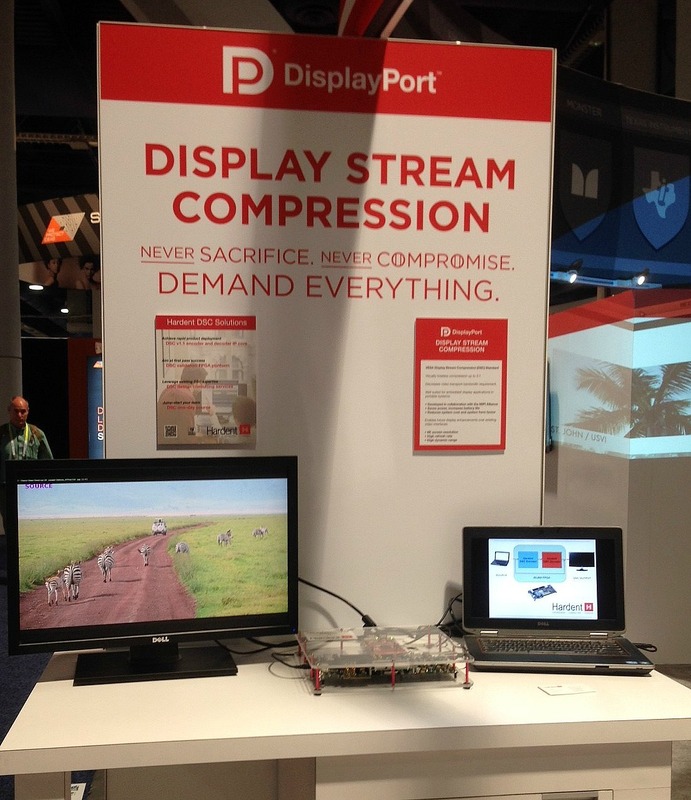 Visit the DisplayPort booth (booth #20531, South Hall 1) to see a live demonstration of VESA DSC. To learn more about Hardent’s portfolio of VESA DSC IP solutions, CES attendees can also arrange a private demonstration during the event by contacting Hardent today. ARM TechCon participants will have the opportunity to learn how to boost performance by leveraging custom accelerators on ARM-based SoCs with FPGA technology. Hardent, an ARM Approved Training Center (ATC), has announced that it will be delivering a training session as part of ARM Training Day at ARM TechCon 2015. The training session will introduce developers to the concept of boosting performance by leveraging custom accelerators on ARM-based SoCs with programmable logic. As ARM technology is deployed in more and more market segments, engineers are turning to training in order to stay up-to-date with the latest technology. ARM Training Day at ARM TechCon brings together ARM training partners from around the world to deliver technical training to attendees. Hardent’s training session, entitled “Boosting Performance from ‘C’ to Sky with Custom Accelerators”, highlights new techniques designed to help developers overcome the challenges faced when boosting software performance with hardware. The presentation will highlight how modern SoCs have combined ARM processing power with programmable logic allowing software to be offloaded to custom, scalable accelerators. “Our training session at ARM TechCon is unique in that it highlights how software developers can explore beyond the typical hardware/software barrier by both using and producing the hardware at hand,” says Shaun Purvis, ARM accredited engineer and trainer at Hardent. “We look forward to sharing an example of a tool and design methodology that, when combined, can be used to successfully convert software into hardware.” At the end of Hardent’s training session, students will have learned how to partition a software defined system between software and hardware, convert C/C++ code to custom hardware and use cache coherent interfaces such as AXI ACP to reduce latencies associated with data transfers to and from accelerators. The training will take place on November 10, 2015 at the Santa Clara Convention Center. To arrange a meeting with Hardent’s team during ARM TechCon, contact Hardent. For more information on ARM training, including Cortex-M7 and Cortex-A courses, consult Hardent’s complete list of upcoming ARM training sessions. Hardent will provide brand-new ARM® Cortex®-M7 training and Cortex-A training focusing on ARM’s 64-bit processor technology to assist engineers with developing innovative embedded applications. Hardent has announced that it will be the first ARM® Approved Training Center (ATC) to publicly deliver ARM’s newly released Cortex®-M7 training course in North America. Hardent is also extending its training portfolio to include ARM’s new 64-bit Cortex-A software development courses. The new courses will be taught by an ARM accredited trainer with real-world experience in developing embedded applications and will be available in-person across North America, as well as online from anywhere in the world. The first ARM Cortex-M7 Software Development training sessions are scheduled for September 1-3 in Toronto and October 6-8 in Burlington and online. Embedded engineers will have the opportunity to preview the new ARM Cortex-M7 training at the Toronto ARM/KEIL User Group meeting to be held July 22, 2015. Hardent’s embedded software specialist and ARM accredited trainer Shaun Purvis will present a training session highlighting the performance boosting capabilities of the Cortex-M7’s memory subsystem. Register now for the Toronto ARM/KEIL User Group. For more information on ARM Cortex-M7 or Cortex-A training courses, or a complete list of upcoming sessions in your region, consult consult Hardent’s ARM training schedule. Synopsys, Inc. (Nasdaq: SNPS) and Hardent today announced availability of a compliant and interoperable Display Serial Interface (DSI) solution that helps reduce the data transmission bandwidth in Ultra-High Definition (UHD) mobile devices. 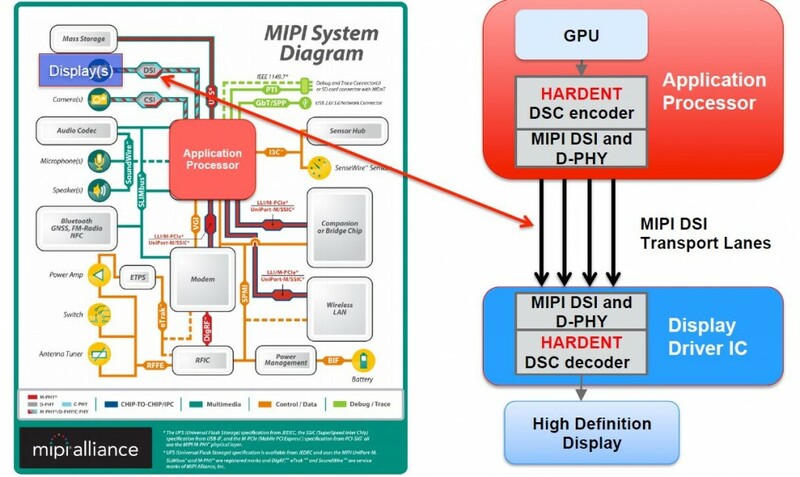 By using Hardent’s Video Electronics Standards Association (VESA) Display Stream Compression (DSC) Encoder IP, video signals can be compressed and transmitted through Synopsys’ DesignWare® MIPI DSI Host Controller IP. This enables higher-resolution displays with reduced bandwidth, while enhancing interoperability and lowering power, electromagnetic interference, and overall system costs. Synopsys’ DesignWare MIPI DSI Host Controller IP is compliant to the latest MIPI specification v1.2. Combined with the silicon-proven DesignWare MIPI D-PHY, designers have a complete, interoperable MIPI display solution that can be easily integrated into application processors with less risk. The Hardent VESA DSC Encoder IP is compliant with VESA DSC standard v1.1 and enables visually lossless video compression between the application processor and the display system inside the system-on-chip (SoC). Hardent’s VESA DSC Encoder IP compresses and transports the video signal to one or more DSI streams utilizing Synopsys’ DesignWare MIPI DSI Host Controller and MIPI D-PHY IP. Synopsys’ DesignWare MIPI IP solutions including DSI v1.2 and CSI-2 v1.2 Host Controllers and D-PHY v1.2 are available now. The Hardent VESA DSC Encoder IP is available now. Synopsys, Inc. (Nasdaq: SNPS) is the Silicon to Software™ partner for innovative companies developing the electronic products and software applications we rely on every day. As the world’s 15th largest software company, Synopsys has a long history of being a global leader in electronic design automation (EDA) and semiconductor IP, and is also a leader in software quality and security testing with its Coverity® solutions. Whether you’re a system-on-chip (SoC) designer creating advanced semiconductors, or a software developer writing applications that require the highest quality and security, Synopsys has the solutions needed to deliver innovative, high-quality, secure products. Hardent is a professional services firm providing engineering, IP products and training to leading worldwide electronics equipment and component manufacturers. Hardent’s experts cultivate innovation in electronics and are specialized in ASICs, FPGAs, DSPs, embedded software, FPGA video processing and system on chip (SoC) design. Hardent’s consultants are trusted advisers in developing high-complexity products, improving engineering processes, providing expert training solutions and accelerating products’ time-to-market. Last year we updated our embedded systems training courses for the online classroom and introduced the Digilent ZYBO Zynq®-7000 board for the hands-on lab exercises that form a key component of the learning experience. Furthermore, we are now making it even easier for students who have taken our online Embedded Design with PetaLinux Tools course to continue development after the training. By releasing a PetaLinux board support package (BSP) for the Digilent ZYBO board, as well as completed design files for the lab exercises, trainees will have a smoother transition from the course settings into their work environment. The BSP can also be used by anyone using the ZYBO board for development, in particular those who need to kick-start an embedded Linux-based design project. The support package includes both hardware and software design projects, based on the Xilinx Vivado Design Suite and PetaLinux tools, for a complete embedded Linux solution. By making the PetaLinux ZYBO BSP available to the public, we are extending existing PetaLinux Tools board support provided by Xilinx to a lower-cost and, hence, more accessible development system. For those unfamiliar with PetaLinux, it offers everything necessary to customize, build, and deploy embedded Linux systems on Xilinx devices. Interested in taking an embedded systems training? Check out the Embedded Design with PetaLinux Tools course description for a detailed list of the topics covered and the schedule for upcoming classes. To complement the X-fest experience, Hardent will be offering participants the opportunity to define a complete FPGA design training plan tailored to their individual needs. Hardent, a leading Xilinx® Authorized Training Provider (ATP), has announced that it will help X-fest participants define a personalized FPGA design training plan. Avnet’s X-fest events are held throughout the world each year and offer FPGA designers the opportunity to learn about Xilinx’s latest technology and product development methodology through practical training seminars. Participants who would like to expand their knowledge of topics covered during Avnet’s X-fest seminars will be able to discuss their individual training needs and professional goals with Hardent’s team during the X-fest events in Boston, Montreal, and Toronto this fall. Today’s FPGA, SoC, DSP, verification and embedded systems engineers face many challenges, in particular the need to get up to speed with recent innovations in technology and understand their impact for electronic product development. Whether it is understanding the latest Xilinx UltraScale™ architecture or Zynq®-7000 All Programmable SoCs, having the knowledge to implement the latest technology is key to developing innovative electronic products and helping designers advance in their careers. “The X-fest seminars are a great opportunity for participants to find out about the latest features and benefits of Xilinx technology”, says Simon Robin, President at Hardent. “Consequently, electronic designers often realize the need to expand their knowledge of certain subjects and improve their professional skill set.” Developing a personalized training plan with Hardent will allow both hardware and software designers to take topics covered during the X-fest seminars to the next level, while also addressing their individual professional development goals. As a Xilinx ATP, Hardent offers FPGA design training such as “Designing with the Ultrascale Architecture”, “Zynq All Programmable SoC System Architecture” and “Hardware/Software Co-design for the Xilinx Zynq Virtual Platform”. These courses are just some of the options available that act as a natural progression to the topics covered during this year’s X-fest seminars and equip designers with both the theoretical and practical knowledge to be able to independently leverage these technologies in their work. Courses are taught using a variety of learning methods, with students having the flexibility to choose between learning in-person with an instructor or taking a training course online from their home or office. Hardent is a leading electronic design company specialized in FPGA design and FPGA training solutions. As a Xilinx ATP for New England, the Southeastern United States and Canada (excluding BC), and an ARM Authorized Training Center (ATC) for North America, Hardent has trained over 7,000 engineers worldwide since 2007. All trainers at Hardent are experts in their field and bring real-world engineering experience to the classroom. Register now for one of the upcoming Avnet X-fest events in Boston, Montreal, and Toronto. Find out further information about FPGA design training from Hardent’s team at the X-fest events or consult Hardent’s website for the complete list of upcoming Xilinx training courses. Hardent is a professional services firm providing training, engineering and management consulting to leading worldwide electronics equipment and component manufacturers. Hardent’s experts cultivate innovation in electronics and are specialized in ASICs, FPGAs, DSP design, system verification, embedded software, and system on chip (SoC) design. The company is committed to developing high-complexity electronic products, improving engineering processes, accelerating products’ time-to-market and providing expert training solutions. ARM® has certified Hardent as an ARM Approved Training Center (ATC) as it extends the reach of training courses for embedded developers in North America. Hardent, a leading Xilinx® Authorized Training Provider (ATP), has received certification as an ARM Approved Training Center. Hardent has taken the initiative to promote and deliver the company’s full training curriculum from coast to coast as part of the ARM Approved Training Center program. Becoming an ARM ATC complements Hardent’s existing offerings that include Xilinx training, WHDL functional hardware verification courses and other industry-related classes. “Having ARM Accredited Engineers (AAE) and offering ARM and Xilinx training under the same roof enables our clients to master these interrelated development technologies,” says Simon Robin, Hardent’s president. “Hardent intends to encourage embedded developers to strengthen their knowledge of ARM technology.” Additionally, as an ARM and Xilinx training house, Hardent will have the opportunity to offer customized courses that can cover all stages of designing and developing with the ARM-based Xilinx Zynq™ All Programmable SoC from both a hardware and a software perspective. Hardent will offer a variety of ARM training courses including ARM Cortex®-A Software Development, ARM Cortex-M Embedded Software Development, and ARM Embedded Software Optimization. Moreover, Hardent training can now assist developers in mastering both ARM’s advanced processor technology and Xilinx’s latest programmable logic technology. Specialized courses, such as the Xilinx Zynq All Programmable SoC System Architecture, will help design teams reduce time-to-market and enable the creation of cutting-edge embedded applications. Hardent ensures that embedded developers have access to high-quality and approved courses in various regions. Find out more about Hardent’s training. For preregistration and securing your space, please check Hardent’s ARM training courses. Hardent is a professional services firm providing training, engineering and management consulting to leading worldwide electronics equipment and component manufacturers. Hardent’s experts cultivate innovation in electronics, especially with ASICs, FPGAs, DSPs, embedded software, video processing and system on chip (SoC) design. Hardent consultants are trusted advisers in developing high-complexity products, improving engineering processes, enhancing the team’s skills and accelerating products’ time-to-market. Hardent’s program enables companies to adopt the latest Xilinx devices and the Vivado design tool, making use of the UltraFast design methodology, converting constraints files from UCF to XDC and using Tcl scripting as a unified scripting language. Hardent has announced today the introduction of a new program for accelerated migration from Xilinx’s ISE to the Vivado® Design Suite. Hardent’s new program enables companies to deploy leading-edge technology from Xilinx with a minimal learning curve and an easy guided transition that is supported through training and by experienced consultants. As companies consider designing with Xilinx’s 7 series, Zynq® or the recently announced UltraScaleTM devices, Xilinx recommends that customers migrate to the Vivado Design Suite. Vivado facilitates the implementation of the UltraFast Design Methodology and the use of Tcl as a unified scripting language, introduces a plug-and-play style of IP integration, and consolidates several, previously separate, tools into a single integrated development environment. Advanced requirements in today’s increasingly complex electronic systems are stretching the boundaries of density, performance and power. Tools such as the ISE Design Suite will no longer be able to resolve the interconnect bottleneck and promote the productivity required. In order to properly transition from the familiar ISE design tool to Xilinx’s Vivado Design Suite, system architects and design engineers are required to go through a learning curve. In an effort to avoid a lengthy transition process, Hardent has developed an accelerated implementation program. Hardent’s new accelerated migration program will assist clients in shifting smoothly to Xilinx’s Vivado Design Suite, including converting constraints files from UCF to XDC, migrating IP to 7-Series or UltraScale devices, porting projects from ISE to Vivado, re-scripting and building automations using Vivado Tcl scripts or implementing advanced flows such as Hierarchical design, IP Integrator (IPI) and Revision control (SVN). Hardent is in a unique position to both train and provide professional services. To ensure a fast transition of knowledge, Hardent offers many complementary courses such as: Vivado Design Suite for ISE Project Navigator Users, Vivado Design Suite Advanced XDC and STA for ISE Users and Essential Tcl Scripting for the Vivado Design Suite. Hardent’s experts can tailor training courses and services to the specific needs of a customer. Hardent’s experienced consultants can advise companies on how to incorporate Vivado methodologies and features into new and existing projects. Being a certified member of the Xilinx Alliance Program, Hardent engineers have early access to the latest Xilinx tools and features and thus they have the necessary expertise to provide companies with an accelerated path to reduce time-to-market development. For further information about Hardent’s accelerated implementation program for the Vivado Design Suite, visit the accelerated Vivado adoption program. To learn more about how Hardent consultants can shorten your migration path and enable your employees to quickly master the Vivado Design Suite, contact Hardent’s consultants.